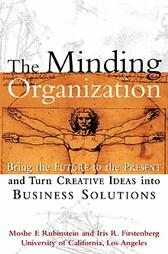 I just finished reading The Minding Organization by Drs. Rubinstein and Firstenberg and would recommend it for any manager to read to better prepare for dealing with the phenomenal rapid rate of change that has become the norm in the global marketplace. Corporations must be of one mindset internally in order to embrace the chaos and uncertainty we are facing and turn it around to achieve success. Adaptability and creativity are key, and the corporate culture must be ripe to nurture people’s minds and spirits to new heights. Open communication continues to be a running theme in these books, something which I as a leader have espoused throughout my career, as well as working in a blameless error environment and learning from our mistakes as we do with our Guarantee Of Service Excellence program. Coach your team to develop a minding organization to keep your business on the competitive edge. This entry was posted in Communication and tagged adaptability, change, communication. Bookmark the permalink. Great to hear from you! Congratulations on Amy being an RN at The Elliot Hospital. Jenna graduated a year ago from Elon, then spent a year in Tanzania, and now wants to become a nurse to save the world. A great profession. My other three are in college, even Gabbie, my last one, who is a freshman at Richmond University in Virginia. Thank you for your encouragement and support in my leadership work. In addition to Delta Dental, I have enjoyed my work on the State Board of Education. I am gathering my notes for the book that you have always encouraged me to write and I like your Kindle approach. My best to Eileen. Hope you are still enjoying golf! Take care. Tom R.